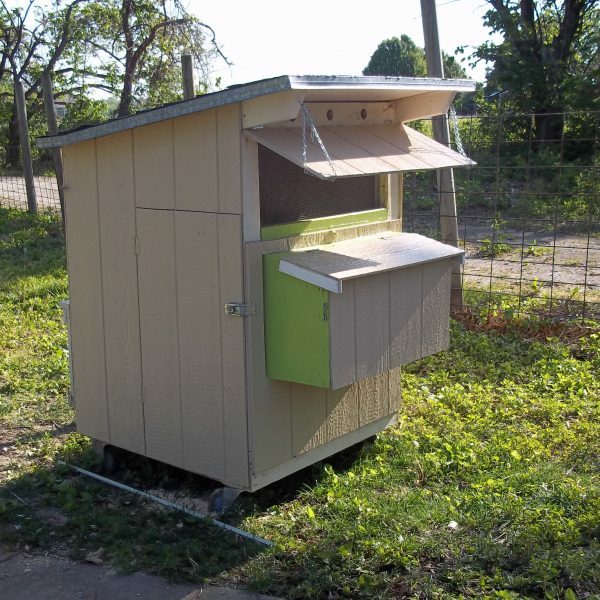 The Original City Biddy Hen House is the perfect backyard coop for your small flock. 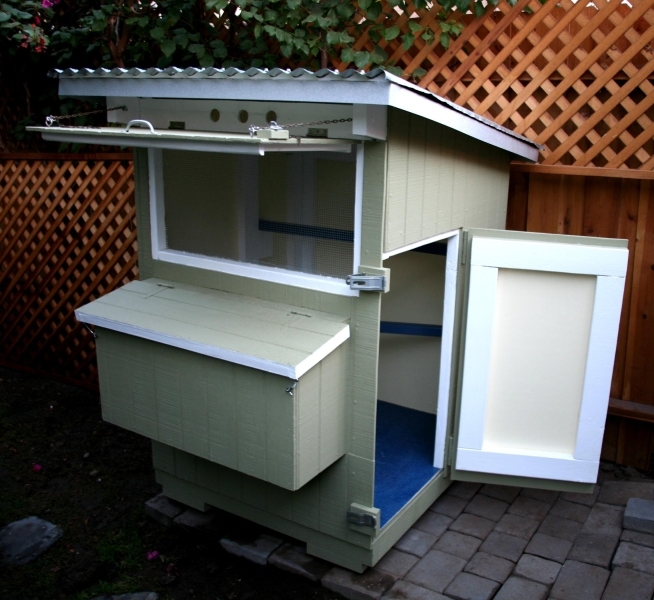 Compact and attractive to fit beautifully into your garden or even the smallest urban yard. 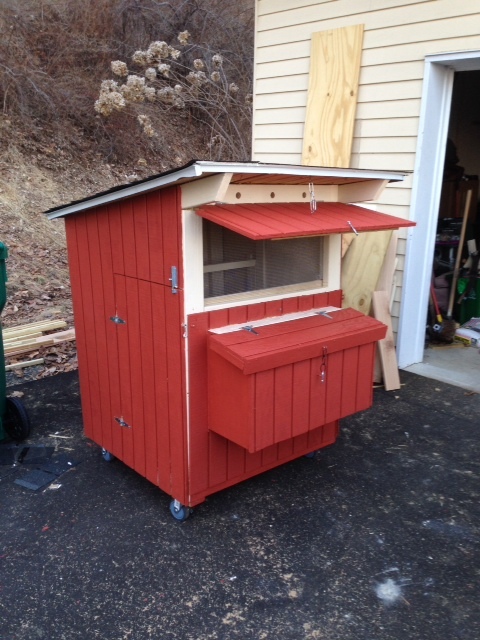 Building it yourself is easy and saves BIG bucks! 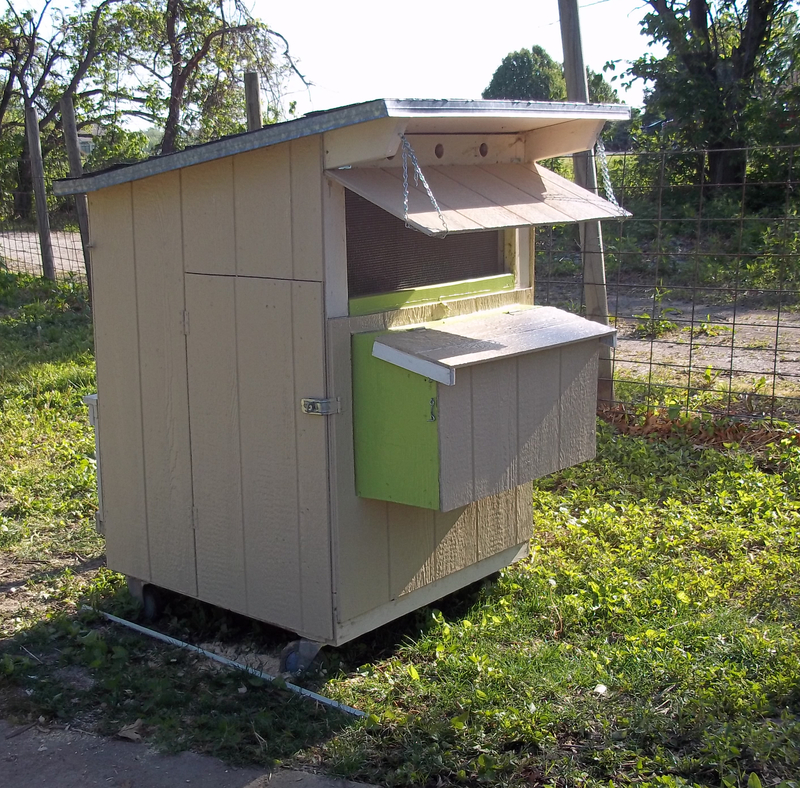 Especially if you use reclaimed materials. 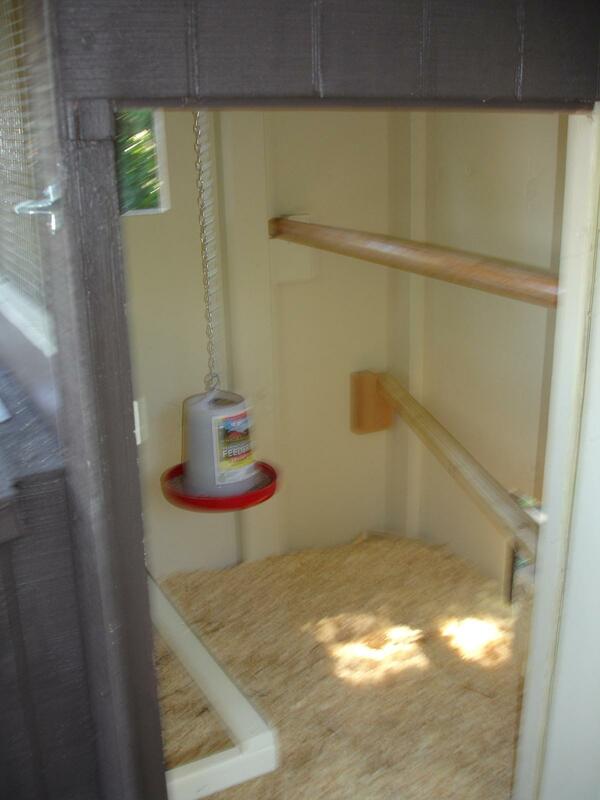 Provides a healthy, happy, comfortable safe home for your birds year round when used with the attached pen of your choice. 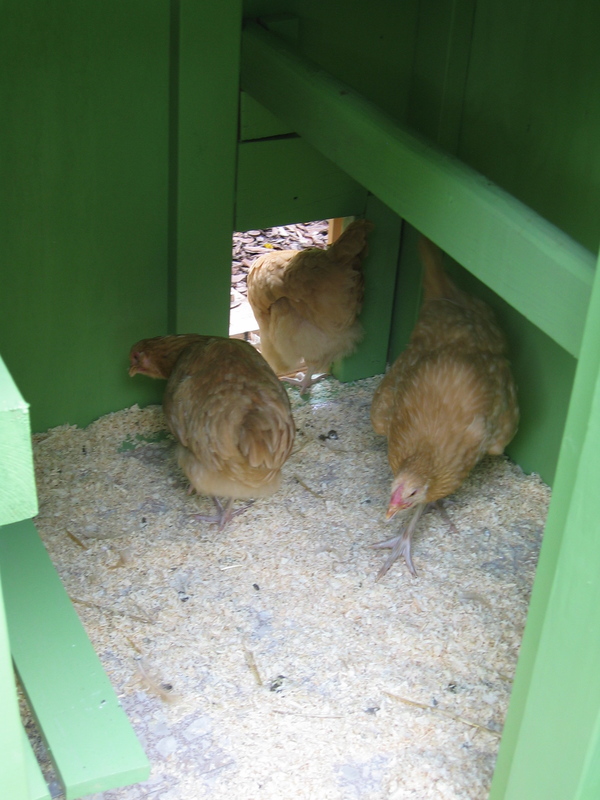 Recommended for use with 4 to 6 standard size chickens (or even slightly more bantams) for the best results. 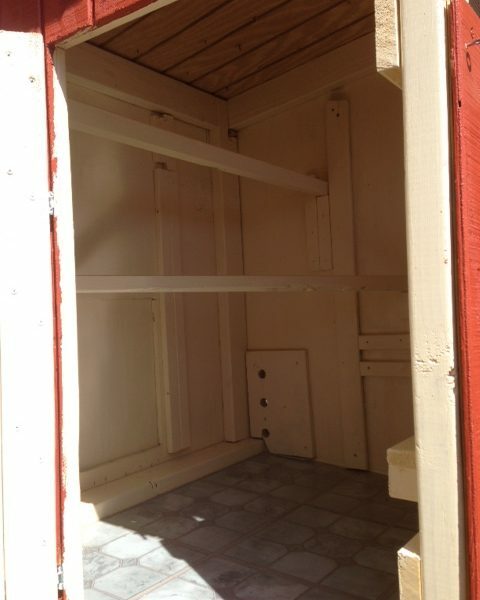 When built with the wheel option it is easy to move. 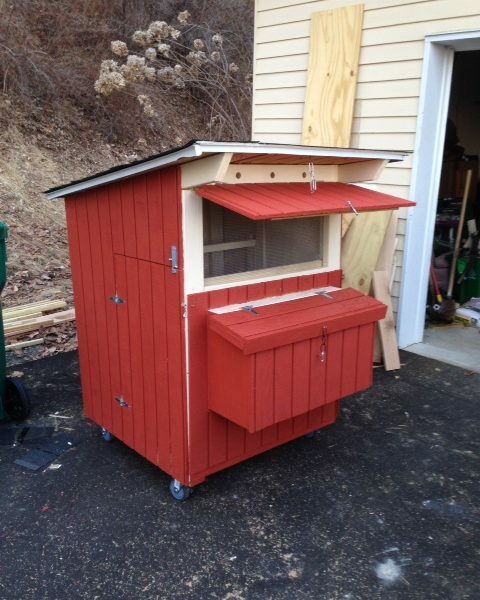 Perfect for the homesteader or the homeowner wanting to keep a few backyard hens for pets and personal egg production. 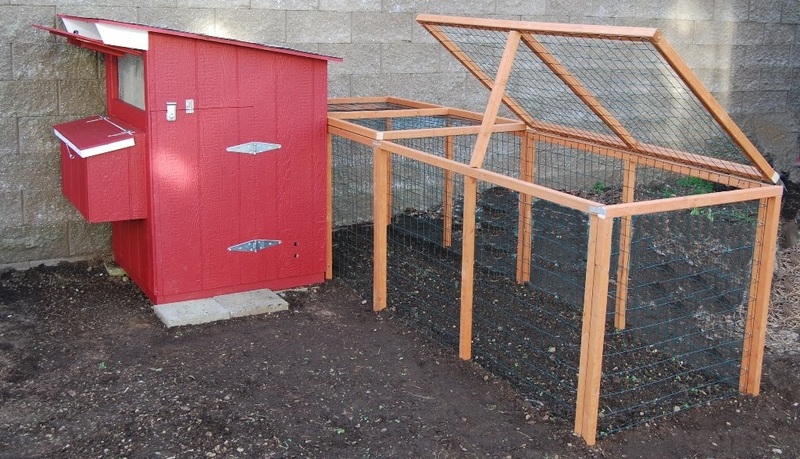 Our step by step plans make it easy – even for a beginner! 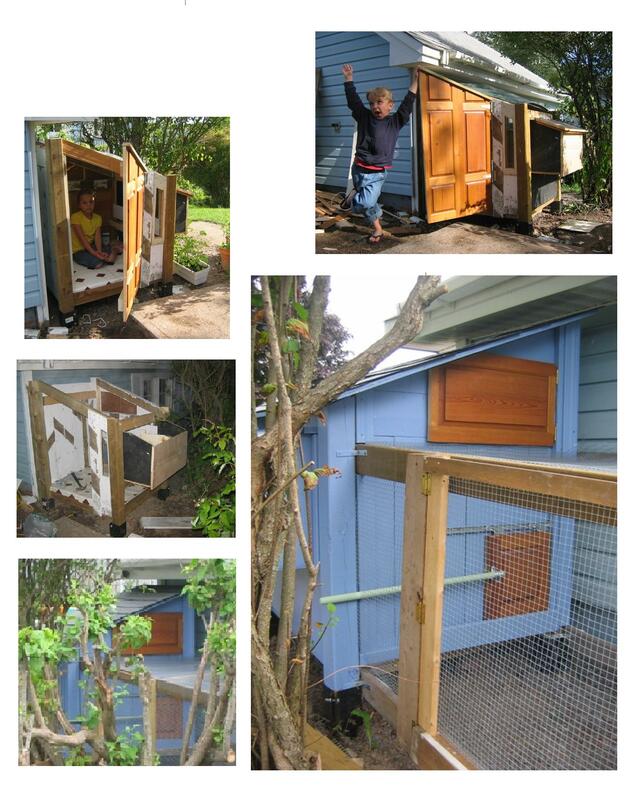 Our happy customers all around the world have been building the City Biddy Hen House since 2005! 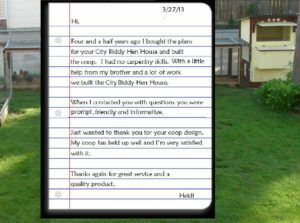 $22.00 – The City Biddy Hen House – Our detailed 35 page color building plans book. 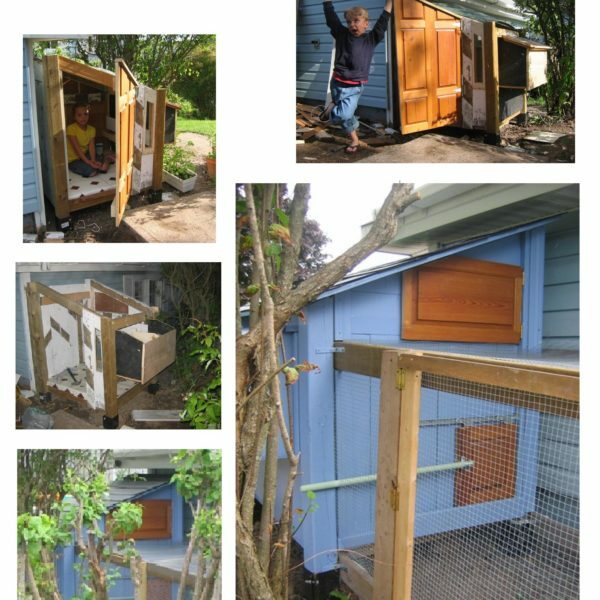 So you can easily build the perfect backyard coop for your small flock. 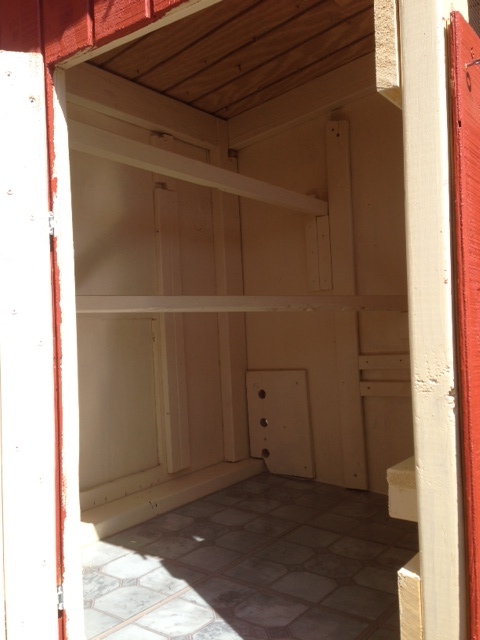 Why BUY a building plan?… The answer is EASY! With a uBuilder Plan all of the bugs have been worked out! 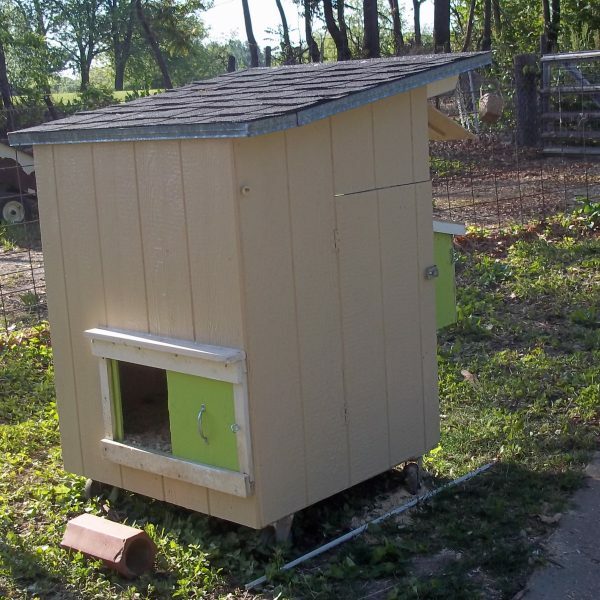 You get a great coop that will be easy to afford, easy to build, easy to use AND be easy to maintain for healthy happy hens. 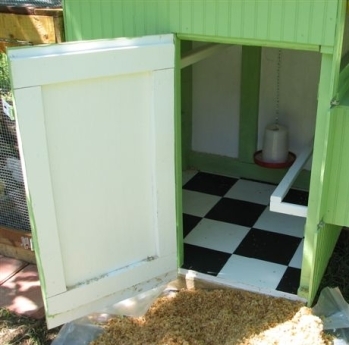 The City Biddy Hen House was designed with the health and happiness of your hens in mind; providing easy to use, superior housing for your small flock without great expense. 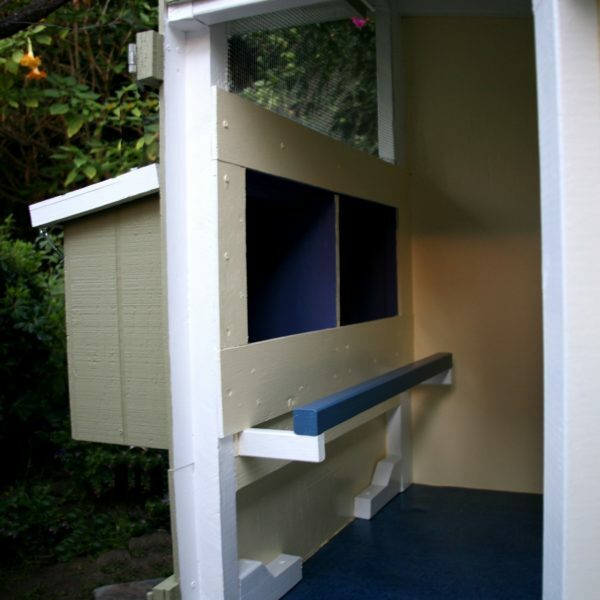 Solid construction and compact size makes it a comfortable safe home for your birds year round. 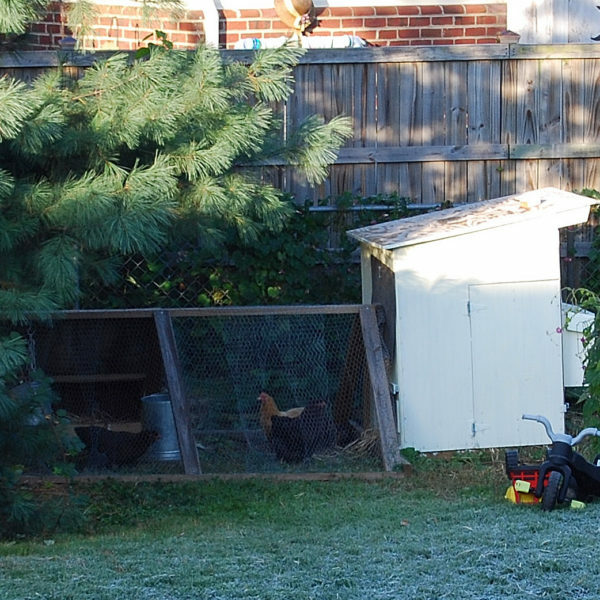 Cool in summer and warm in winter; no more overheating or frostbite! 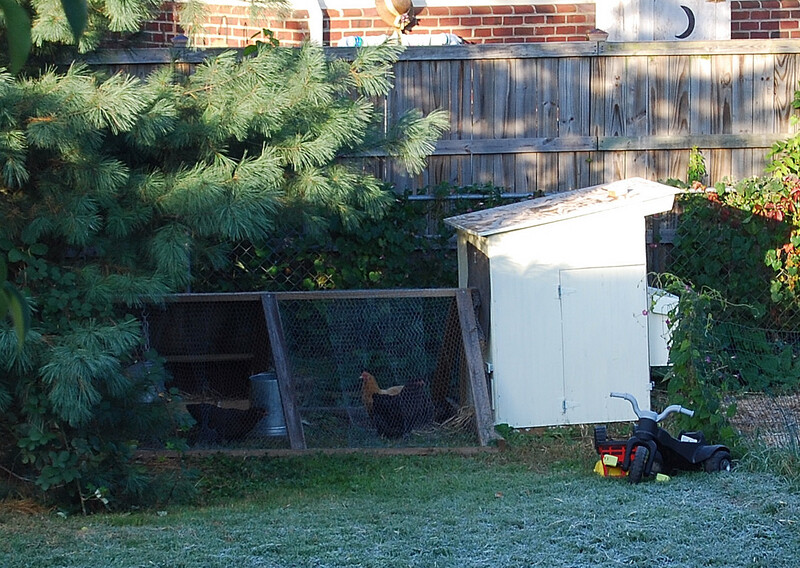 Chores are easily accomplished from outside of the coop. 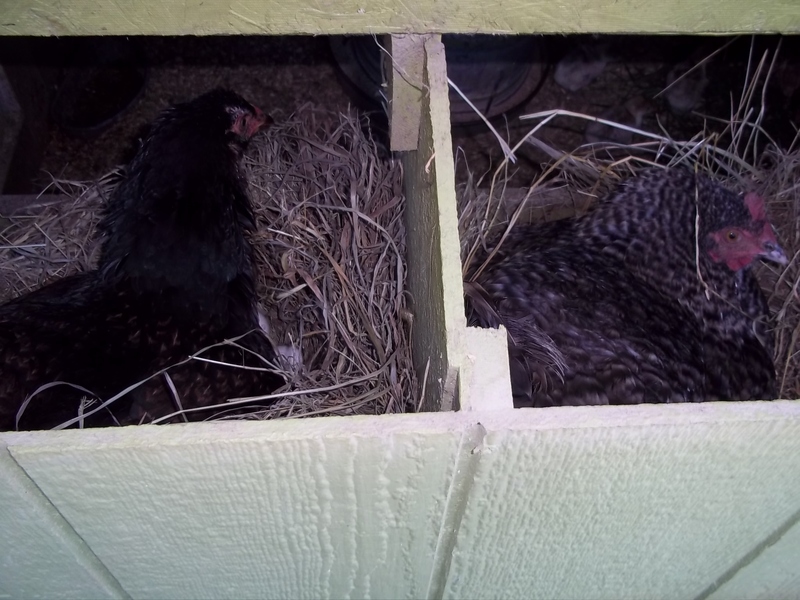 No need to crawl around inside of a cramped pen! 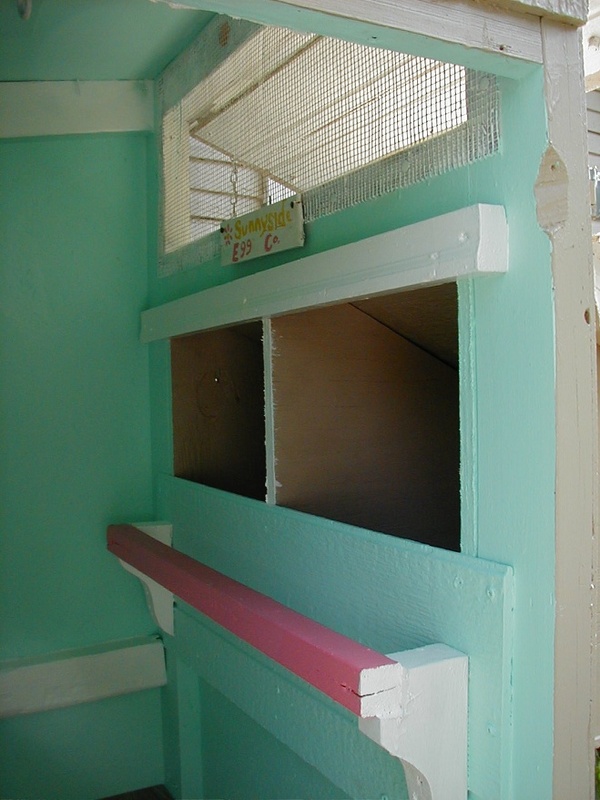 The large access door and exterior nest boxes make feeding, gathering eggs and even cleaning – quick and easy. 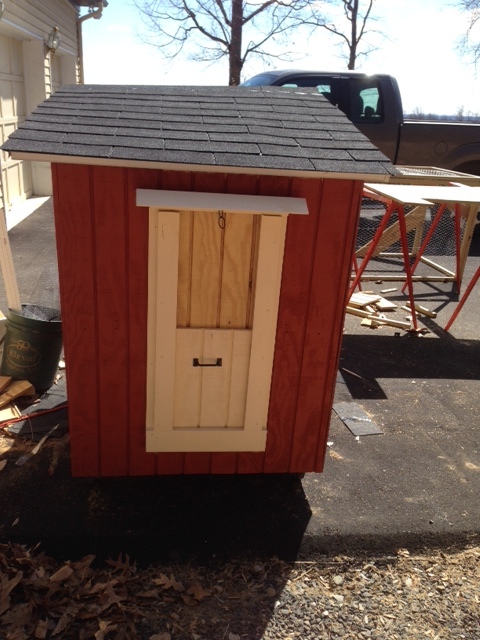 (Check out the video below – even a Kid can do it!) This makes the City Biddy perfect for children, the elderly, and people with special needs! 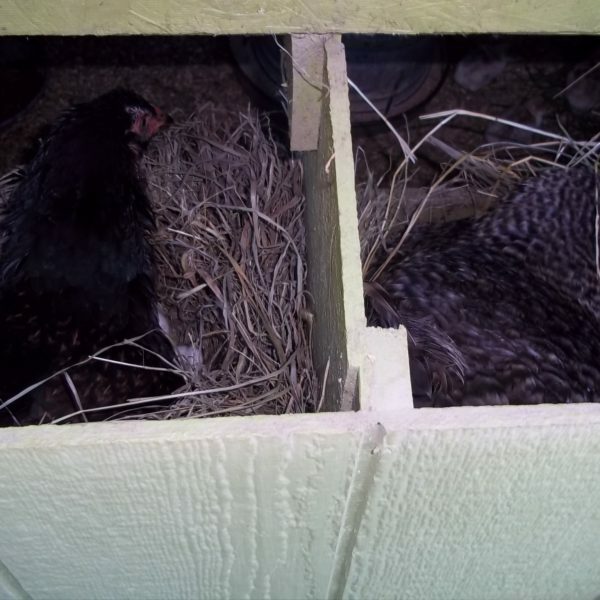 Yes, the City Biddy Hen House is wheel chair friendly! 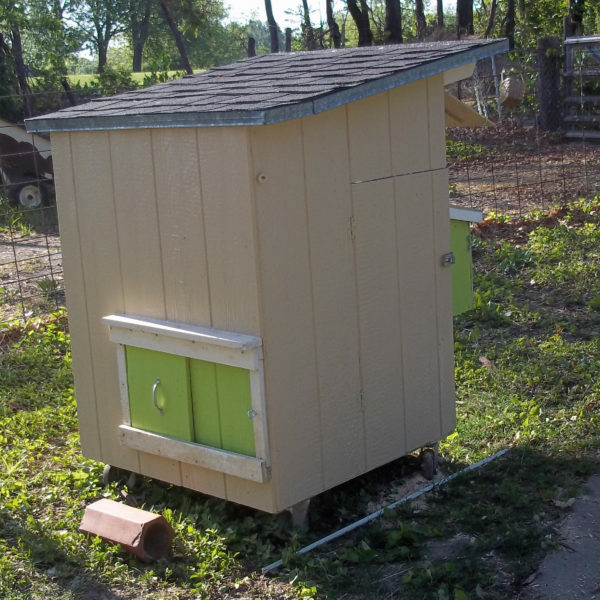 As a disabled homesteader myself I know what that can mean. 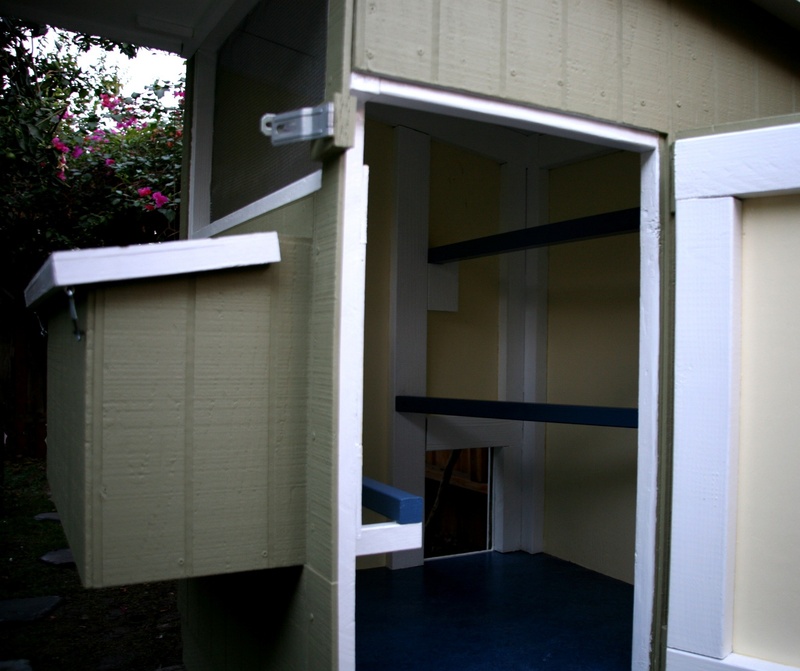 It can open doors and create independence! The plan features wheels, as an option for the City Biddy. 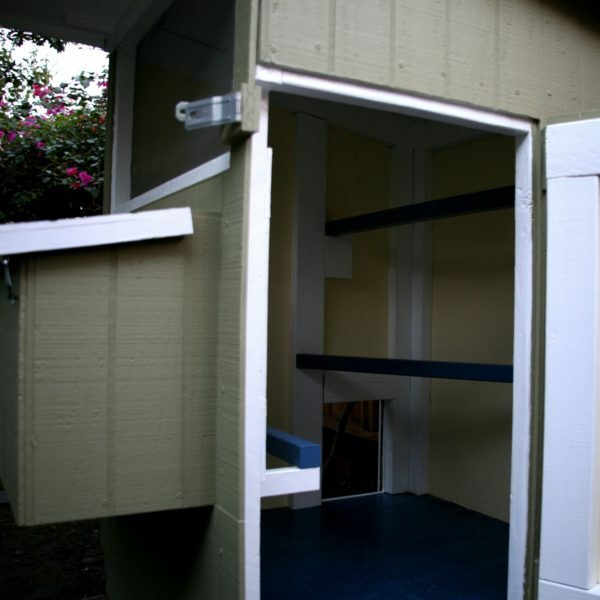 Its easy mobility means you can change the location to suit the season, sunny spot for winter or a shady spot for summer time. 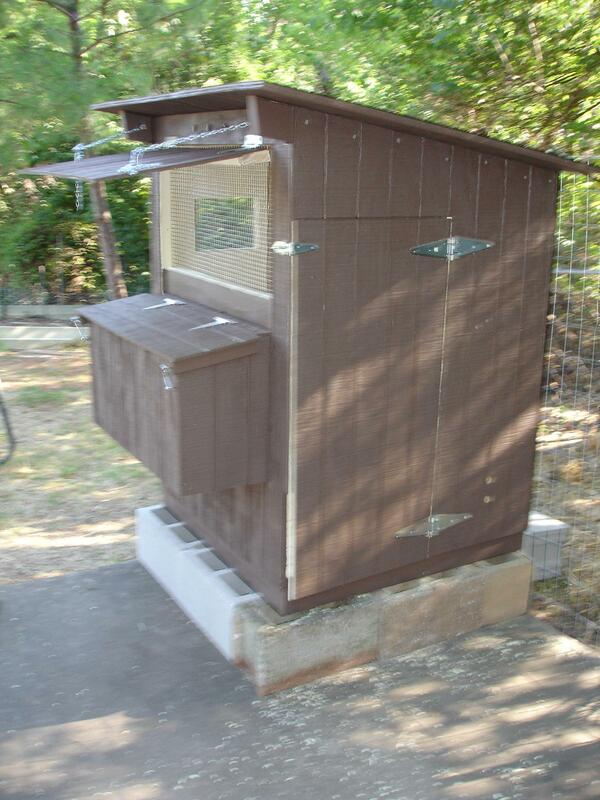 The coop can be moved by one person. 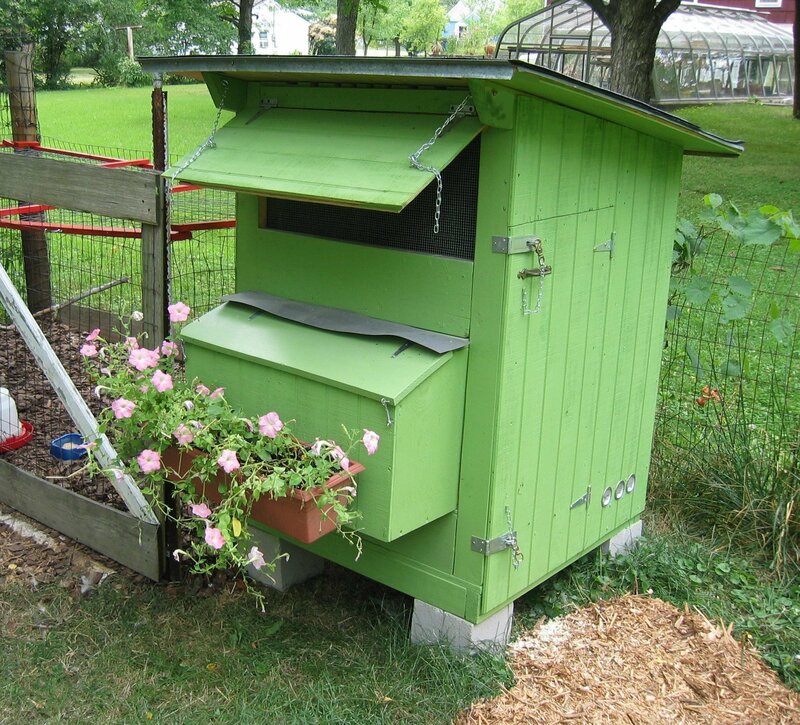 Compact and quite attractive, the City Biddy will fit beautifully into your garden or even the smallest urban yard. 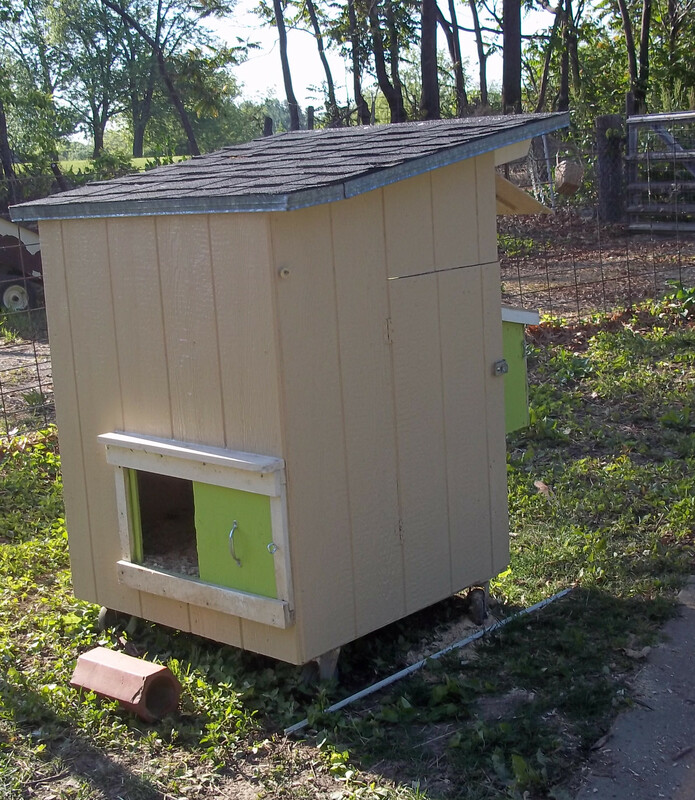 Building your own low-cost City Biddy Hen House is easy as well. 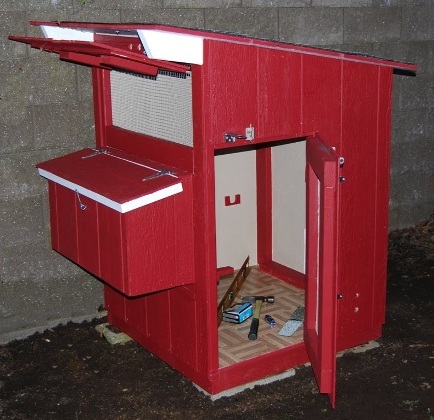 With these professionally engineered plans you can build it yourself! 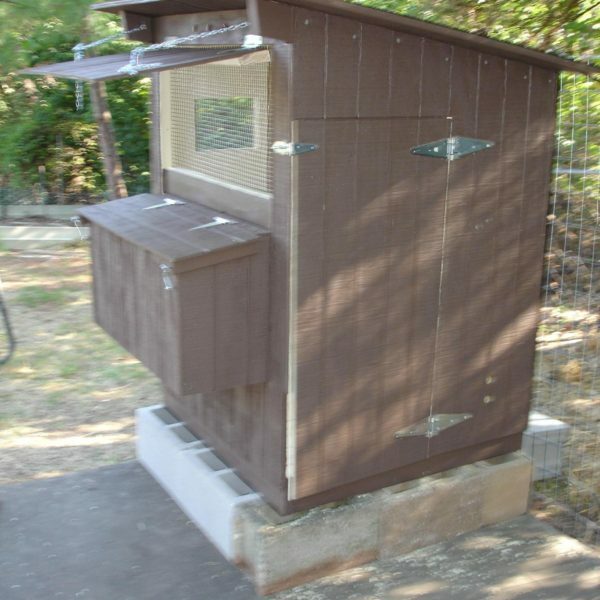 Our 35 page color building plan book includes: color photos, poultry care tips, detailed measured drawings, and step-by-step instructions written for easy assembly by almost any handy person. 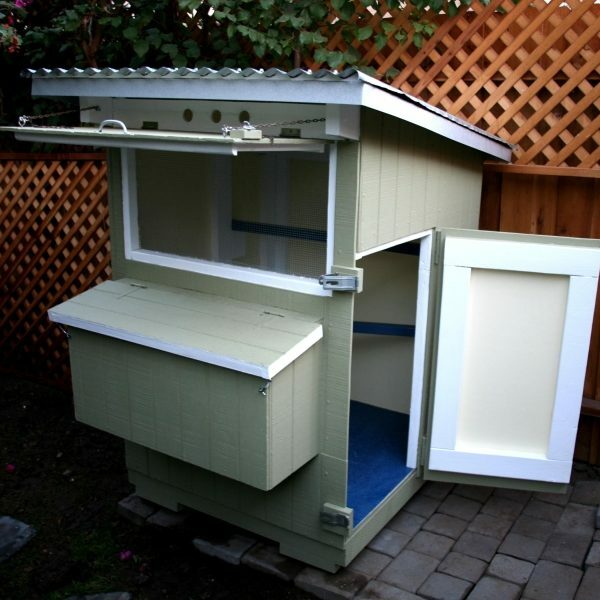 Using new materials, you can usually build the City Biddy for under $200.00 (US)! 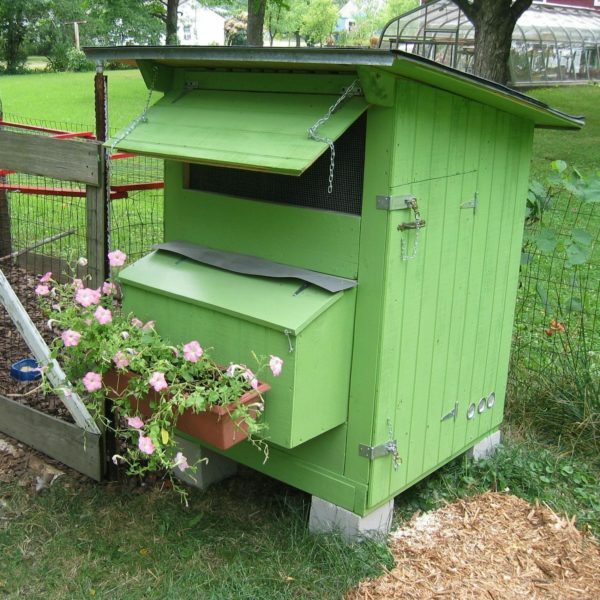 Less if you are using recycled or reclaimed materials. At uBuilder Plans we want you to succeed! 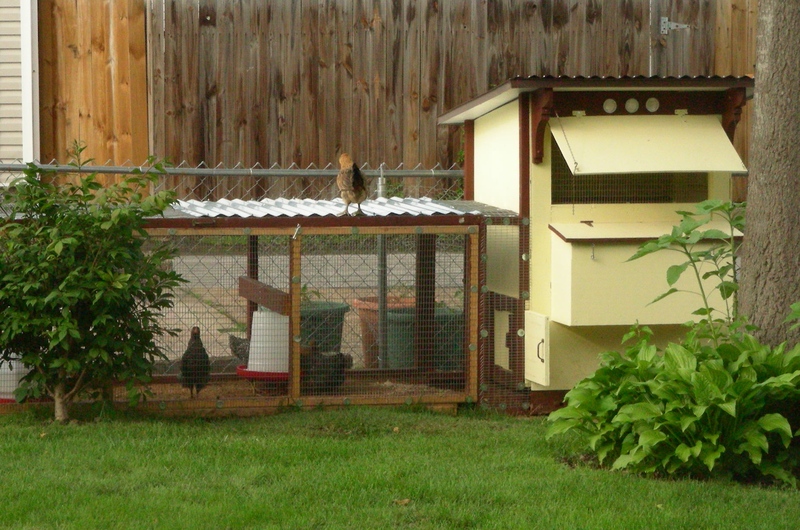 Technical support and poultry advice by email are always included. 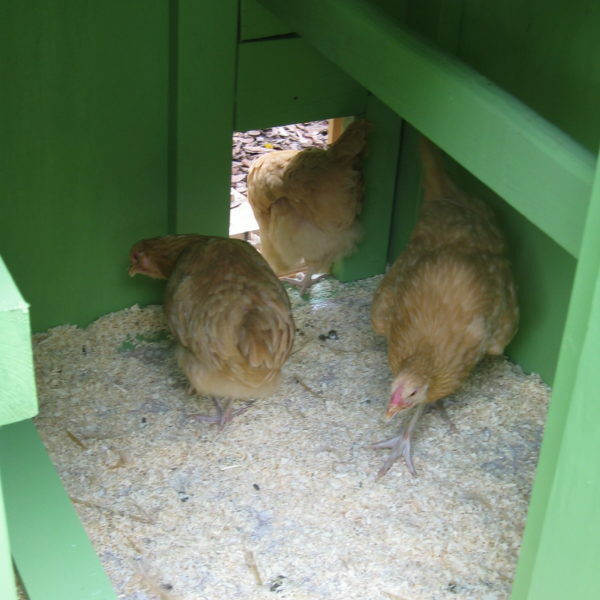 Designed to be used with the pen of your choice, the City Biddy Hen House gives you flexibility. 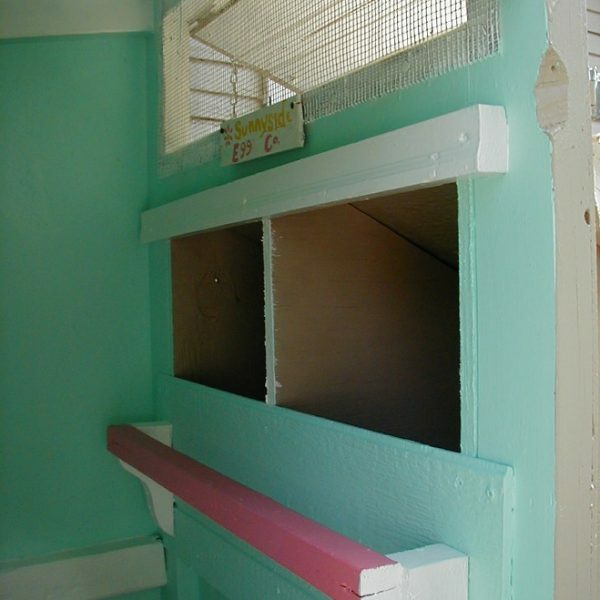 Even the design is flexible. 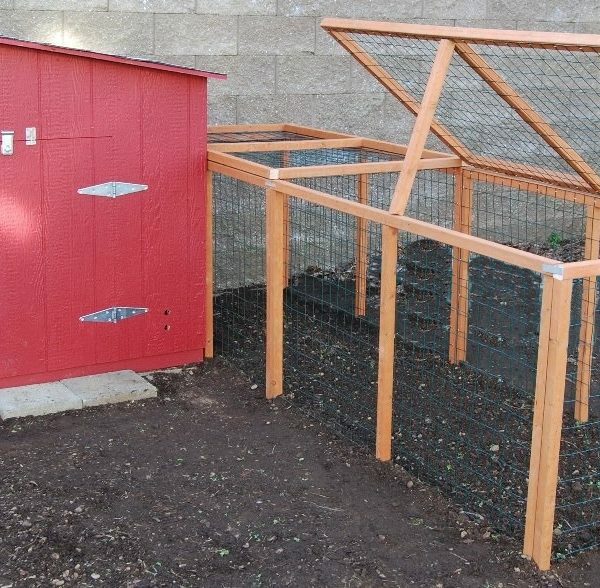 While it is designed for housing chickens, the City Biddy can be adapted to house many small animals including: rabbits, ferrets, waterfowl, pigeons, or even your cat! 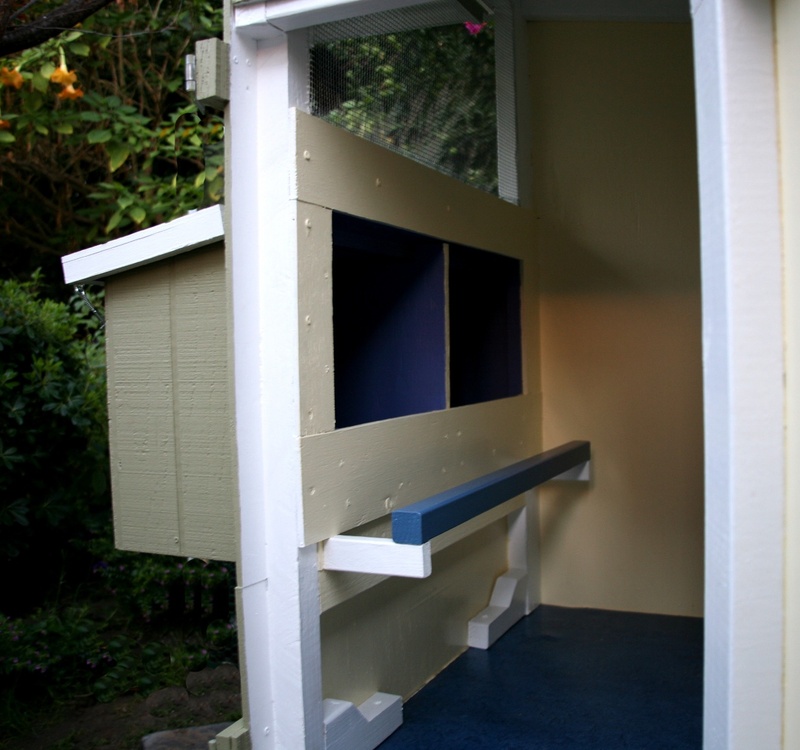 The do-it-yourself plan allows you to customize the design to suit your personal style and needs. 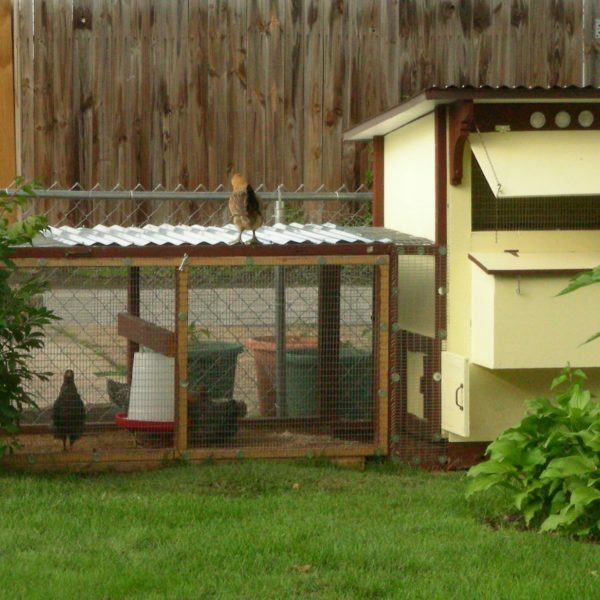 Are you a seasoned Poultry fancier or new urban centered homesteader? 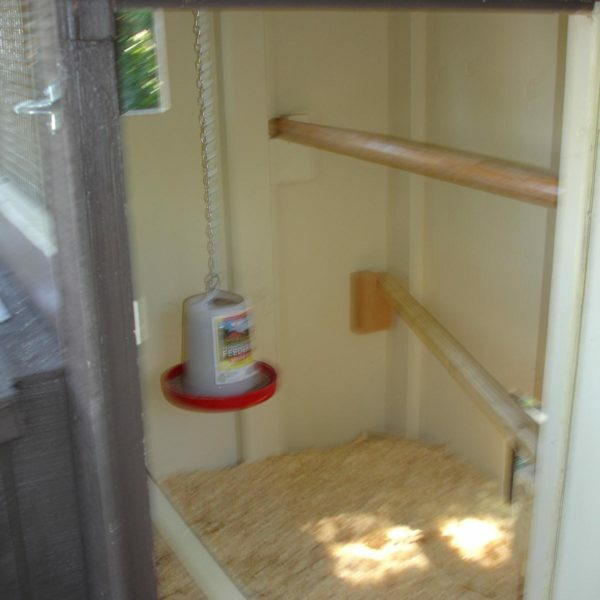 Looking for mobile housing for a breeding trio, housing for a broody hen and her chicks, or a new backyard coop for those “farm” fresh eggs? 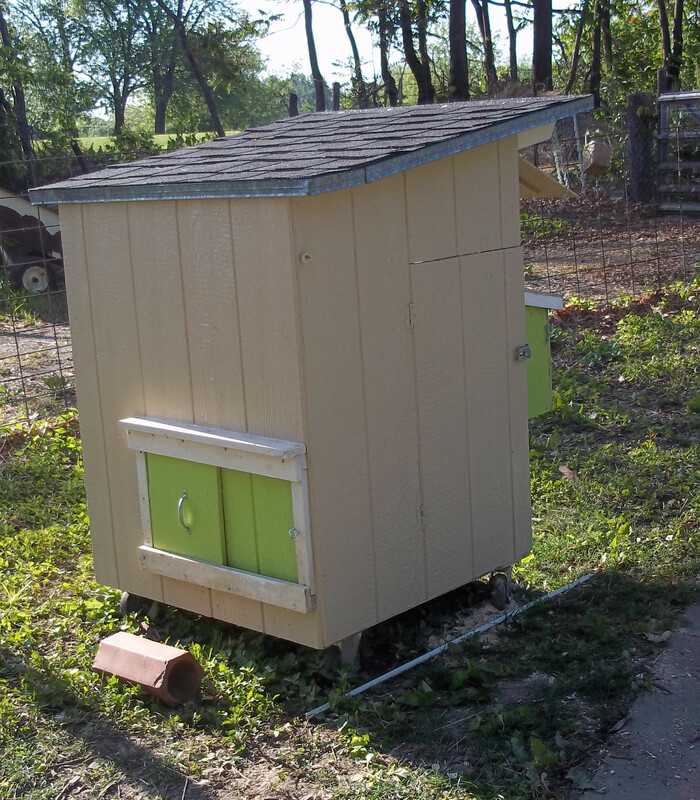 No matter what you call it… a poultry ark, chicken house, a coop or even a chicken tractor… the City Biddy Hen House is just right for you!